Prof Geoff Rodgers welcomed and supported the INCORME initiative for providing platform to researchers. Prof Rodgers is the 1st speaker of INCORME which started in 2016 and we are very grateful for encouragement given to us. 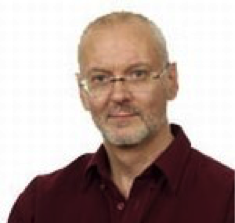 Professor Rodgers was appointed to Brunel University in 1989 as a lecturer in Physics, becoming a Reader in Mathematical Physics in 2001 and Professor of Theoretical Physics in 2003. In 2004 he joined the Brunel Graduate School and was appointed Pro-Vice-Chancellor for Research in 2008. He was promoted to Deputy Vice-Chancellor for Research in 2014. He is a Fellow of the Institute of Physics and the Higher Education Academy. He is also a Visiting Professor at the University of Havana, Cuba. Between 2010 and 2014 he chaired the Research Excellence Group of London Higher, made up of the PVCs for Research of the universities in London. 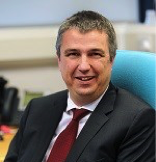 Professor Rodgers is currently leading the Science and Innovation Audit on Sustainable Airports on behalf of BEIS. As Deputy Vice Chancellor for Research and Innovation Professor Rodgers of responsible for all aspects of the research strategy and operations at Brunel University London. He has lead a number of multi-partner academic projects including NSIRC with TWI, BP, Lloyd's Register and Network Rail, the Women in Engineering Programme and the initiation of a STEM Learning Centre at Brunel. Dr Kerry Sullivan is highly regarded management consultant, academic and entrepreneur. He has mixed an academic life with a practical career in the property industry. Now a partner at Sulnorth - a redevelopment company he continues teaching on executive MBA programmes across Europe for the International faculty of Sheffield University. He was previously MBA Director at University of Surrey and Head of Estate Management at South Bank University. Over a forty year career he has extensive experience as a consultant and brings a practical expertise to the academic environment. Dr. Walsh began his professional career working for Union Carbide Exploration on tungsten and precious metal exploration in B.C., Yukon and the Northwest Territories. In 1981 he joined Hudson’s Bay Oil and Gas as an oil and gas explorationist in Calgary, Alberta, Canada. In 1984, he returned to Ontario, Canada to take a gas supply operations position with Union Gas Limited. Dr. Walsh managed the geology department and contributed to the evaluation and development of various natural gas storage and production projects. In 1987 he formed a consultancy to provide technical services to natural gas utilities and producers and his clientele have included many of North America’s major utilities, a number of governmental and municipal agencies, and various Canadian and British energy consuming organizations. 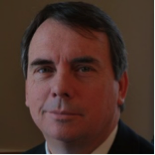 In 2003 Dr. Walsh completed his doctoral research into deregulated markets, in particular the Ontario energy market, and was appointed as a Lecturer in Corporate Strategy at the University of Surrey and MBA Programme Director. He arrived at Ryerson in 2007 to take the position of Associate Professor, Entrepreneurship & Strategy. 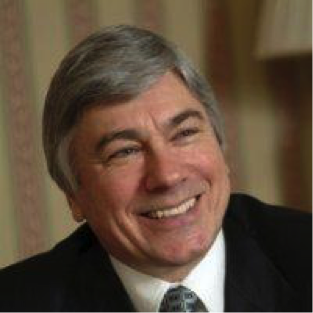 Dr. Walsh is the Faculty Advisor for JDC Ryerson, Editor of Entrepreneurial Practice Review, a Fellow of the Ryerson Entrepreneurship Research Institute and a member of the Ryerson Institute for the Study of Corporate Social Responsibility. In addition, he currently acts as the Academic Co-ordinator for the Mining Management program at TRSM and the Chang School. Prof. Walsh continues to provide consulting services to the North American and European energy industries. He is a registered professional geoscientist in Alberta and Ontario. Brunel University, London, UK Stephen Lloyd Smith is a member of Brunel Business School with special interests in emotional labour, practice development, the philosophy of method and in the class origins and emotional basis for the authority exercised by local authorities. He is experienced in the use of different forms of applied drama, image work, learning sets (etc) for practice development, especially as a way examining and overcoming impasse. He has worked with Kent Constabulary, the Royal College of Nursing, the Faculty of Occupational Medicine, the air-transport section of the International Transport Workers’ Federation and with a number of local authorities and health trusts. He was the founding editor of the International Journal of Work Organisation and Emotions and has published papers in several journals including, Local Economy, Science and Public Policy, Sociological Review, Social Science and Medicine, Research Policy, Soundings, Place Branding and Public Diplomacy, the International Small Business Journal and in Philosophy of Management. Recently he was guest editor for two special editions of the International Journal of Work Organisation and Emotions, based on presentations at the Conference on the Future of Feeling. This was one of a series of conferences and seminars which he co-organised. Main teaching responsibilities cover organisational sociology, doctoral supervision and an MBA module called Managing for the Future. For weekend projects he plays in a nine-piece soul band and is developing a radically new form of electric guitar which he has also patented. He is currently working on the concept of ‘Artefact Cafes’ (with the School of Engineering and Design), on a Learning Set (with Meretta Elliot from the School of Arts and Kate Darlington, BBS) and on the ritual origins of local emotions (again with Kate Darlington who has chosen this as the focus of her doctoral research). Nigel runs Passionate Innovation Ltd to help organisations to build an effective and continuing innovation culture. 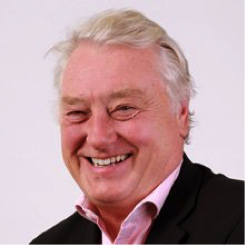 Nigel was the first chairman of the Surrey Enterprise Hub; he led on Open Innovation for Surrey and the Thames Valley Innovation & Growth Teams; he has been entrepreneur-in-residence at the University of Surrey for nine years. After working for twenty years in engineering organisations Nigel founded software company Pixology in 1987 and later launched and sold The Digital Camera Company as the first internet-based camera retailer. Pixology developed the first general image management software for digital cameras; the first software to send pictures over satellite phones; it developed picture tagging and searching 5 years before Flickr; it was the first company in the UK to enable picture printing from retailer web sites and it was the first company in the world to develop red-eye correction in camera! The company floated on AIM in 2003 and Nigel left in 2006. He is an entrepreneur, innovator, trained mentor and was recently a UK main stage finalist in the Professional Speaking Association “Speaker Factor” competition. 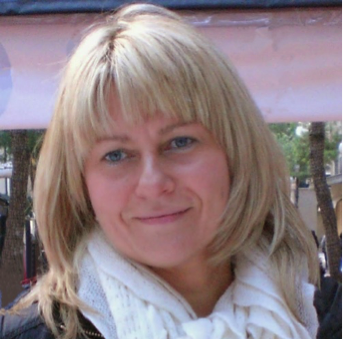 Ms Cass is a Principal Process Engineer and Consultant based in Advisian’s London office. Her experience spans a wide range of technologies, and across the Asset lifecycle from Concept, through major project delivery, to Operations. She uses Strategic Decision techniques to integrate Non-Technical risks into Conceptual studies because she believes that understanding the context improves the quality of our engineering decisions. Alex has worked in a range of roles including R&D, process design, plant operations and commissioning. She has specialist technology experience in cryogenics, syngas processing, hydrogen, GTL/CTL, offshore gas and heavy oil. She has been the Process lead on major projects including detailed design of an offshore gas development in the UK North Sea, and FEED of a steam flood heavy oil onshore development in the Middle East. Ms Cass has been instrumental in integrating Advisian’s EcoNomics™ decision support capability and analysis of non-technical risks into our technical consulting studies. She is also an experienced workshop facilitator able to draw on both her varied technical background and her knowledge of structured decision analysis techniques. Alex delivers internal training courses on presentation skills, workshop facilitation and risk management and is a BELBIN® team roles accredited trainer. 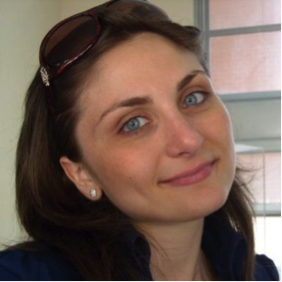 Dr Simona Zambelli is Associate Professor of Financial Intermediation at University of Bologna (School of Economics). She holds a Ph.D. in Economics of Financial Intermediation from the University of Siena (Italy); a degree in Economics with a legal focus from University of Bologna (Italy); and a second level postgraduate degree in Finance, with a Mathematical Finance specialization, Birkbeck College (London). 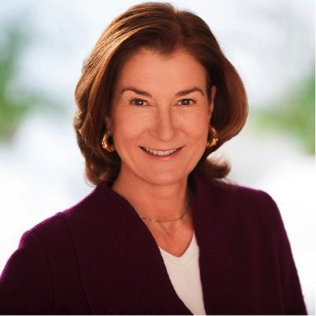 After specializing in financing of innovation & venture capital at Harvard Business School (as post-doctoral Research Fellow), she was visiting professor at Rensselaer Polytechnic Institute –RPI (NY, USA); University of Leicester (UK); Westminster University (UK); and York University-Schulich School of Business (Toronto, CA), where she specialized in Private Equity Impact of Financial Regulation. Her main research interests refer to the Entrepreneurial Finance areas, especially: Venture Capital, Private Equity, Financial Regulation Economic Impact, Corporate Governance Impact (especially in terms of Gender Entrepreneurship), Crowdfunding; and Impact Investing. Her research approach is empirical, and she especially enjoys dealing with Law & Finance issues and implications. Dr Zambelli has published several articles in international Journals, including: Journal of Banking and Finance, European Financial Management, International Journal of Management Reviews, as well as books with high rating publishers (such as Oxford University Press). She is currently engaged in various research projects and international collaboration, especially with York University (Toronto, Canada) and Leicester University (Leicester, UK), as well as in a number of international exchange programs with IPAG Business School (Paris), and Westminster University (London, UK). More about Prof Zambelli’s research, awards and publications is available at https://sites.google.com/site/simonazambellihomepage/home. Dr Kumar Neeraj Jha is a senior academic with the Department of Civil Engineering, Indian Institute of Technology Delhi, India. He started his career with Larsen and Toubro Ltd and was instrumental in successful completion of a number of construction projects such as roads and bridges of national importance. He has published more than 50 papers in a number of international and national journals and conference proceedings. He is currently supervising 2 PhD Students and in addition to that he has supervised more than 54 MEng and PhD successful theses completions of his students. His book on ‘Construction Project Management’ published by Pearson Education and ‘Formwork for Concrete Structures’ published by Tata McGraw Hill is widely accepted as a text book in different universities. He teaches various courses in construction technology and management. He has conducted a number of training programs for industry and has also been involved with a number of consultancy projects. Dr Jha’s areas of specialisation and current interest project performance appraisal, project export, organisation success, construction project management; formwork for concrete structures, construction schedule and factors impacting success of capital intensive projects. Dr Sabine von Oesterreich has been assisting executives and teams of high-profile organisations, including numerous DAX listed companies, as a consultant and coach for the past ten years. Prior to this, she worked as a project manager and coach for an international HR consultancy firm for three years. Before that, for ten years, Dr von Oesterreich was a business consultant focusing on strategic development and restructuring in the area of public health for emerging-markets. Following her graduate studies in medicine, Dr von Oesterreich commenced her professional career as an assistant doctor in the internal medicine department at the university hospital in Freiburg, Germany. After that, she held various senior executive positions with team responsibility in the pharmaceutical industry, both in Germany and abroad. With background as a medical doctor, Dr von Oesterreich takes a holistic approach to coaching and educating. For more than 20 years, she has had the opportunity to develop an in-depth understanding of the business world, both in Germany and abroad, from the perspective of a manager and consultant. A wide range of proven methods and tools rounds out her consulting expertise. For instance, Dr von Oesterreich combines experience and know-how with empathy and emotional intelligence. Dr von Oesterreich provides top management consulting so that executives can achieve their goals efficiently and effectively with a special focus on advising and coaching executives in times of great challenges. Dr von Oesterreich also supports executives and anyone else for that matter – who wish to reach their personal and professional goals more efficiently. This can help you to create awareness of your own potential, expand your boundaries, realise new perspectives, and transform inner and outer conflicts and challenges into opportunities. The result: to develop fresh ways of thinking and acting – empowered and successful. Dr Hardeep Chahal is Professor in the Department of Commerce, University of Jammu, India. Her research interests focuses on services marketing with emphasis on consumer satisfaction and loyalty, service quality, brand equity and market orientation. During an academic career spanning 23 years, Prof Chahal has published more than 102 research articles which received 1031 citations. 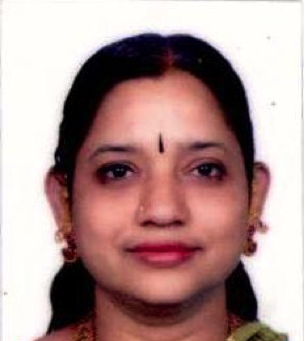 Her research work has been acknowledged in refereed International journals like Managing Service Quality, International Journal of Healthcare Quality and Assurance, International Journal of Bank Marketing, Journal of Relationship Marketing, Journal of Health Management, Journal of Relationship Marketing, Management Research Review, Total Quality Management and Excellence, Corporate Governance, Global Business Review, International Journal of Business and Globalisation, International Journal of Indian Culture, Business and Management, and national journals of International repute like Vikalpa (IIMA), Metamorphosis (IIML), Decisions(IIMC), Journal of Social Work(TISS), Journal of Services Research and Journal of Rural Development. She has also co-edited books on Research Methodology in Commerce and Management and Strategic Service Marketing. 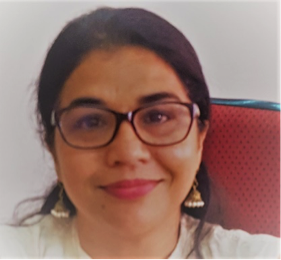 She currently serves on the editorial boards of the International Journal of Health Quality and Assurance (Emerald) and Journal of Services Research (IIMT, India). Prof Chahal has successfully supervised 11 PhD candidates and is currently supervising 7 PhD students. She is a recipient of an Award of Excellence for Best Reviewer during 2011 by International Journal of Health Quality and Assurance (Emerald). She has been on a visiting fellowship to University of Loughborough, UK under Commonwealth Fellowship Scheme (British Academy Award) and also to Gandhi Institute of Business and Technology, Jakarta, Indonesia. 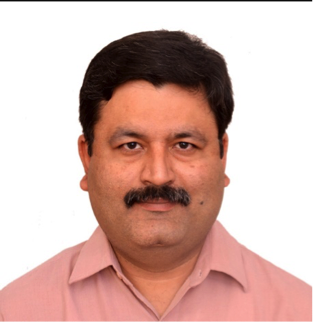 Mr Bhutta started his professional career in 1998 from Union Bank as Business Development Consultant. He has a vast experience spread over almost two decades and worked with National & Multinational Banks like Union Bank, Bank Alfalah and FINCA Microfinance Bank. 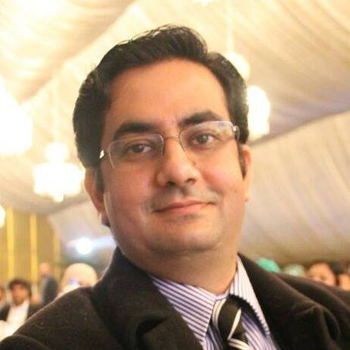 He attained his master’s degree from UCP Pakistan in the majors of Business Administration. He is certified TQM and HR professional and additionally holder of Six Sigma Green Belt from Singapore Quality Institution. He is member of Pakistan Banking association. Being a seasonal Customer Experience professional, he has developed complete E2E Customer Experience and TQM Models for Bank Alfalah, Kashaf Foundation and Hush Puppies after making extensive research and surveys. He has also provided consulting and training services to Business Development, Customer Experience, Lean Management, Talent Management, and Strategic Management etc. He is associated with Bank Alfalah, KASHF Foundation, ICI Pakistan, PEL Pakistan, Changhong Ruba and Metro Cash & Carry Pakistan to deliver trainings as Guest Speaker and Trainer. Currently at FINCA Microfinance Bank and he is heading the deposits portfolio and customer experience and leading the workforce of 500+ employees. Dr Federica Pascale is an Associate Professor in Architectural Technology art Anglia Ruskin University, Cambridge and has over a decade international research experience in health and social care environment design, resilience, performance, and impact on the ageing population, and those living with dementia. She was involved in Phase 2 of The Health and Care Infrastructure Research and Innovation Centre (HaCIRIC), a collaboration between Imperial College London and the Universities of Loughborough, Reading and Salford. She worked with the Department of Health on its Dementia Capital Investment Programme and is one of the technical authors of the Health Building Note 08-02. She has been a keynote speaker for the Centre for Health Design and for the Harvard Medical School on resilience of emergency departments. In 2015 and 2016, her research was awarded the Emerald Literati Network Awards for Excellence as Highly Commended papers and the Best Non-Student Research Project for “Design for People living with dementia” by Design & Health International Academy Award Categories 2015. 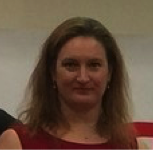 Dr Pascale holds BSc (Hons), MSc and PhD. Dr or Aida Rahman serves as a head of aviation management at University Kuala Lumpur, MIAT campus. She has more than 15 years of research and teaching experience. She earned her PhD degree in Management (Supply Chain Management) from Brunel University, London, UK in 2012; BBA (Finance) and M. Edu Business Entrepreneurship) from National University, Malaysia. Her research work has appeared in several reputed academic journals, book chapter and refereed conference proceedings. She has written three postgraduate research books. She is actively involved in research projects focusing on logistics service quality, halal logistics branding, supply chain relationship, relationship marketing and halal logistics & distribution. 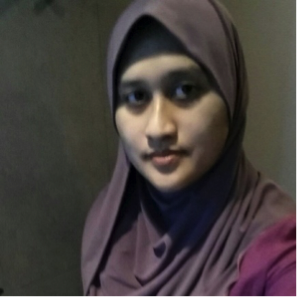 She is a chartered member for Chartered Institute of Logistics and Transport Malaysia (CILTM), PSMB Certified Trainer and a member of Academy of Marketing, UK. Dr Nor Aida has also secured several research grants funded by Ministry of Higher Education, Malaysia and for University of Kuala Lumpur. She has also been a track chair and invited speaker for numerous research workshop and training in Malaysia. She is also a panel member for Halal Logistics standard MS2400 part-1, part-2 and part-3; technical committee for TC10 Halal supply chain for SMIIC and academic advisor (Aviation Management Program) to the Cybernetics College in Malaysia. Dr Padma Srinivasan is Professor & Group Research Head of Acharya Business School, Bangalore, India. She has more than 30 years of experience in industry as HR Head & in academics teaching MBA & PhD. Dr Padma is 5 times Best Research Paper Award winner – International and National; author of 4 books and a consulting editor of ICFAI journal of Risk & Insurance. She holds Masters in Commerce, FCS (Chartered Company Secretary), ACMA (Certified Cost accountant) and PhD in finance & strategy. Dr Padma is an Entrepreneur Educator of NEN, IIMB, Stanford, ISB, SP Jain Educator 10K programme. She represented NEN on Goldman Sach's Round Table on 10K Women Entrepreneurs, Executive committee member of Karnataka SME association, Mentor of Start-Up winning VC funding at IIM Kolkata’s B Plan Contest, Speaker at Global Young Entrepreneurs Forum, IIT Bombay, a Visiting Faculty to Indonesia (Solo City) & Malaysia (Kuching) on Research methodology. She has also been a track chair and key note speaker for numerous conferences and reviewer for International research journals. 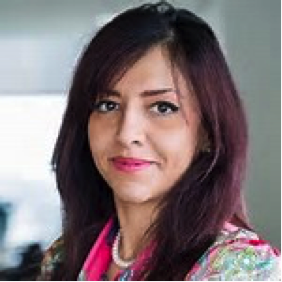 Dr Pantea Foroudi (PhD, FHEA, MSc (Honors), MA, BA (Honors)) is a member of the Marketing, Branding, and Tourism, Middlesex University London and is Business Manager and Solution Architect. She earned her PhD from Brunel University London and completed her MA in Marketing and Communication Management, University of The Arts London (LCC), UK and MSc in Graphic Design from Azad University, Tehran, Iran. Pantea started her corporate career in 1996. She has more than two decades of experience as a creative innovator and practical problem-solver in Visual Identity, Graphic Design, and Branding in different sectors such as Airlines and Travels; Arts and Entertainment; Automotive; Banking; Fashion and Retail; Healthcare and Hospitality; Institutions and Non-profits organizations. She developed a mainstream interest in higher education marrying research and practice to help managers and decision makers to collaborate with designers in a mutual understanding of the concept to enrich the market. She designed more than 120 Logos such as EmpIndex Ltd; Tehran General Hospital; Sheez Restaurant and Coffee Shop; and won prize for Poster of the Year during the 22 Bahman Festivals; Photography; Kufi Calligraphy Prize in Tehran, Iran. Her research interests include marketing, branding, communications, visual identity/ design, Stakeholders, and social media, and e-marketing from a multi-disciplinary approach. Dr Foroudi has published widely in international academic journals such as Journal of Business Research, European Journal of Marketing, and so on. She has presented at numerous conferences, workshops, and universities. She is the Guest Editor of Journal of Business Research and Qualitative Market Research: An International Journal. Mr Mohammad Ali Toosy started his professional Career in 1998 from Pakistan Institute of Quality Control which is now known as PIQC Institute of Quality back in 1998. 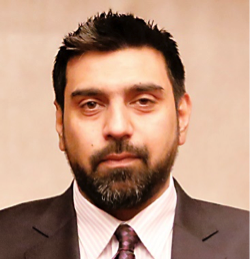 He has worked in multinational & national companies such as CresSoft - Software development; QMS 9000; Evensure Management Services; Critical Software Technologies – A Technology company for the precision industry; Mobilink – a Telecommunication firm, i2c – a Payment processing firm and FINCA – a Microfinance Bank. He has also been a visiting lecturer for total quality management (TQM) & change management to University of Central Punjab. His international exposure includes countries like USA, UK, Portugal, Switzerland and Pakistan. He has also provided business consulting and training services to the manufacturing, technology, defence & cyber security industry. He attained his MBA degree from University of Surrey and the Six Sigma Black Belt certification from Singapore Quality institution international, and he is qualified a Lean practitioner. His MBA research concentration was on the role of leadership in reducing resistance to change. Currently he is working with FINCA Microfinance Bank looking after the operational excellence initiative. He has delivered trainings in various companies and has been a widely acclaimed speaker in the public forums. Being a passionate about utilising his experience and knowledge, he is currently mentoring CEOs of companies: Apps Genni – Mr Mudassir Malik, Wifi Gen – Mr Bilal Athar and Veiliux – Mr Shahmeer Amir. 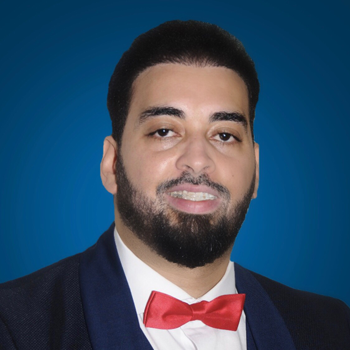 Dr Mehdi Sarsar is a senior consultant and an executive doctor in Business administration. He received a doctorate from the Paris school of Business, an advanced master in Entrepreneurship from HEC University of Liège and an MSc in Electronics and Automation from the Bordeaux university of Science and technology, France. Aiyed is a highly regarded cultural ambassador, senior industry expert and global networker. 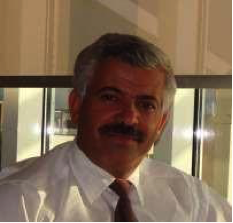 Starting a professional career in Iraqi Airforce more than 30 years ago, Mr Rikabawi has achieved list of distinctive professional targets in his multi-role and multi-industry work experience. His recent work includes establishing a cultural and business exchange hub for Arab and Australian communities which would ultimately benefit both populations across the continents. Mr. Rikabawi holds degrees in Engineering, Arts and Management fields. All rights reserved © 2012 - 2016, CEO 24x7 Limited. CEO 24x7 Limited is a company registered in England & Wales in the United Kingdom. The company registration number is 8297903. INRME (Institute for Research in Management and Engineering) and INCORME (International Conferences in Management and Engineering) are trade names, brands and subsidiaries wholly owned by CEO 24x7 Limited.